The secret of the Italian Cuisine n°4: Angelo Sabatelli culinary secrets! 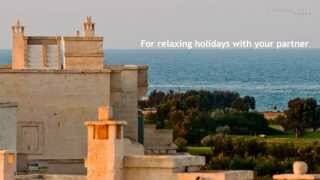 If you love Italy, sea destinations and vibrant summer life, you may chose to spend your holiday in Puglia! The region is located in the south of the Peninsula and is not only one of the most renowned Italian holiday destinations, but also one of the richest archaeological regions in Italy and the Eden for food-lovers! 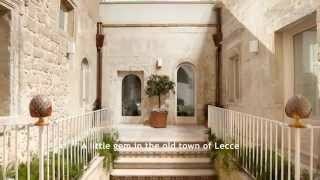 The Chef Angelo Sabatelli from Monopoli (Bari) has told us about himself and explained why Puglia and Food are a perfect idyll. Monopoli is a coastal town in Puglia. Monopoli is one of the most active Olive Oil Cities: it celebrates the fresh extra-virgin olive oil mill and the baked bread at the "Bread and Oil" festival. 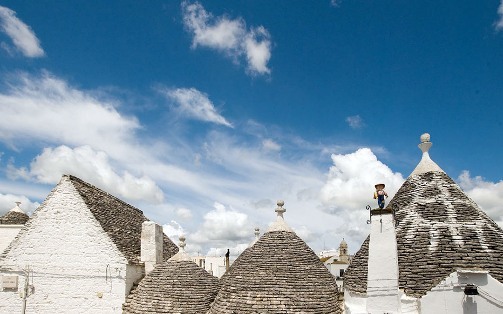 Puglia is characterised by strength in agriculture: Mola turnip tops, Ferrovia cherries, Primaticcia di Polignano potatoes, and the Caciocavallo cheese are products only cultivated in Puglia. He considers himself to be a lucky chef that can work with an assortment of ingredients unique in comparison to other nations. 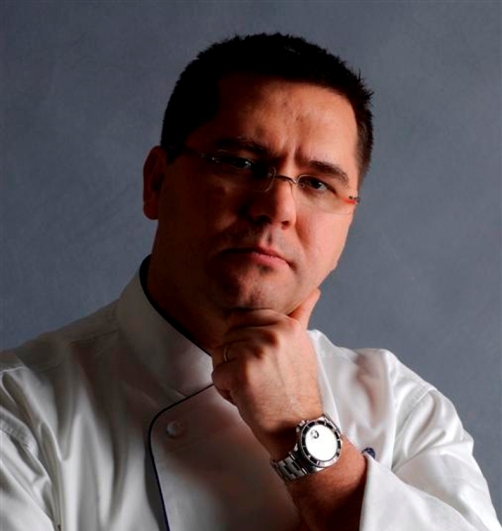 At the same time the Chef Angelo Sabatelli asserts that “It’s possible eating well almost everywhere because there are talented colleagues around the world able to express their cooking talents very well”. 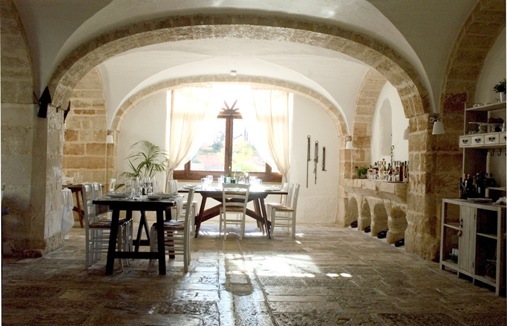 If you have any doubt where to eat in Puglia, we vividly suggest the Masseria Spina Restaurant, where our CHIC Chef usually offers a perfect mixture between noble ingredients (oysters) and simple ingredients (chicory and beans). 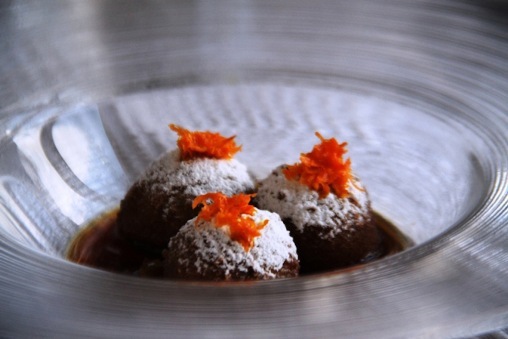 The Apulian Chef Angelo Sabatelli has been awarded a Michelin Star and while we are strongly waiting for the 2nd star to be awarded, we are being comforted with chocolate fondant pralines! Here is the recipe for “Bon Bon” chocolate fondant pralines with candied Lampascioli and artichoke liqueur. (Lampascioli are a kind of bitter-tasting onion typical for the Italian Puglia and Basilicata regions). Peel the onions, cut a cross into the root and leave them in water for about three weeks (changing the water 2 times daily). Then, drain the water, cut the onions into quarters, remove the core (white part) and separate the onion petals. Put the onions, the sugar and the water into a saucepan and cook for about 40 minutes over low heat. Leave to cool and add the artichoke liqueur. Cut the chocolate into small pieces. Heat up the cream to 80° and add the chocolate. Stir briefly, add the butter (previously cut into small cubes) and mix with a mixer until the cream becomes smooth. Take a semi sphere silicon chocolate mold tray with about 28 spheres (28 gr each) and pour the chocolate ganache into the mold, using a sac à poche/ Pastry bag. Put them in the freezer. When the little balls are frozen, dip in flour, beaten egg white and breadcrumbs. Repeat the steps (without dip in flour). Fry the pralines in hot oil until golden, drain on kitchen paper and bake in the oven for about 1 minute. Sprinkle the bon bon with icing sugar and some grated orange peel. Take 4 plates, pour two spoons of candied lampascioli on the plates and place 3 bon bon on each plate.